We've seen poker played in some bizarre places over the years - shark cages, carousels, roller coasters but never in the middle of a busy road. Until now. 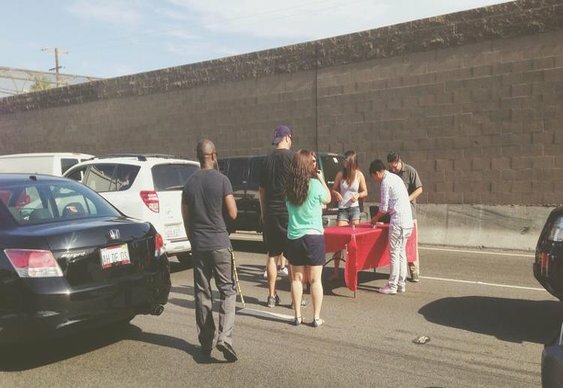 Drivers stuck in a massive Los Angeles traffic jam decided to break up the monotony by getting out a table and chips for an impromptu game of hold'em! According to the LA Times, the freerway was closed after police spotted a man on the ledge of an overpass. He was later detained by authorities. Image courtesy of Sarah Jung.